Derby Piano Teachers independent review of Yamaha YPT 210 portable keyboard. The Yamaha YPT 210 portable keyboard is a starter keyboard which boasts an impressive 32 notes polyphony, 5 octaves (61 notes) keyboard with 375 AWM digitally reproduced sounds making the Yamaha YPT 20 the ideal choice of instrument for beginners keyboard lessons. The Yamaha YPT-210 portable keyboard features 375 natural sounding voices, including Stereo Grand Piano, 361 XGlite voices, 12 drum kits and a sound effect kit. The YPT-210 also has 100 accompaniment styles and 102 built-in songs. Use the Portable Grand button to instantly call up an authentic stereo grand piano sound. The instrument also has a rich Reverb effect that adds concert-hall ambience to any performance. The Yamaha Education Suite feature makes learning and practicing music more fun than ever before. 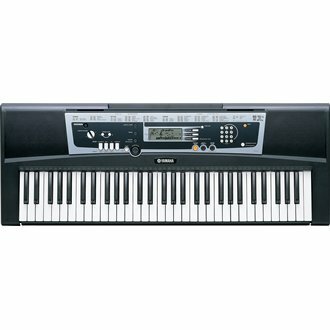 I would particularly recommend the Yamaha YPT 210 to parents of young children who are considering buying a first-time keyboard for their child to take keyboard lessons because the financial outlay is minimal. 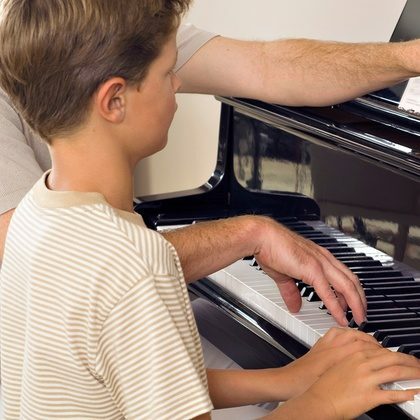 There is always a slim chance your child may not wish to continue with keyboard lessons so initial investment is an important factor to consider. At time of writing the Yamaha YPT 210 is selling at Yamaha dealers including Argos for approximately £77.00. I would suggest going along to Google search engine and typing “Yamaha YPT 20” to see if you can find an even better deal. You never know you might be lucky! It’s worth mentioning that ten years ago you would have expected to pay somewhere in the region of £500 for a Yamaha keyboard of similar specification. For more detailed information about the Yamaha YPT 210 portable keyboard head over to Yamaha UK & Ireland website. Please click here to visit the Yamaha website. Derby Piano Teachers review of the Yamaha YPT 210 Portable keyboard. ©2012 all rights reserved.